PIER 4 Seaport pre-construction sales have started! Contact Boston Luxury Flats today to set up an appointment at the sales office and reserve your unit today! Surrounded by water on three sides, the collection of boutique residences at PIER 4 Condos represents a contemporary exploration of intelligent indulgences: lush public spaces, convenient retail and dining options, luxury amenities and sustainably designed living spaces. Find your perfect retreat in Boston Harbor’s most aspirational new community. 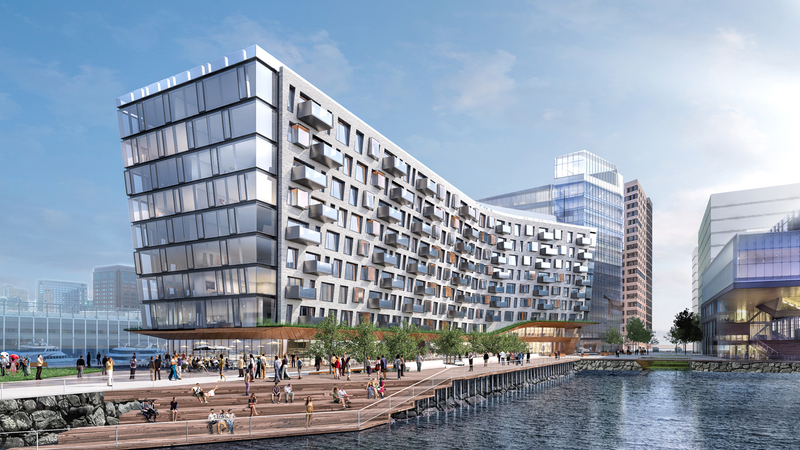 Pier 4 Seaport will be nine stories and 118 feet high; there will be 16,800 square feet of ground-floor retail and a two-level underground parking garage. 1 Bedroom/1.5 Bath units start at 965 square feet and are priced from $1,650,000. 2 Bedroom/2.5 Bath units start at 1300 square feet and are priced from $2,200,000. Units at PIER 4 are all oversized and range from 965 square feet all the way up to 4400 square feet for 4 bed + den/4.5 bath Penthouse units. All units include at least 1 full and 1 half bathroom. The curved design of the building will make it truly unique, with no floor plan being the same as any other, your unit will literally be one of a kind. Units will range from around 1,000 square feet all the way up to 3,000+ square feet, offering spacious amenities and living space. Like the penthouse? Those units will include 4 bedrooms and private wet bars with rooftop terraces. Many of the units will be floor through, which will give those unit owners the ability to see both the sunrise and sunset through floor to ceiling windows. Imagine the views you’ll get every single day, not to mention the wow factor your guests will appreciate when they come over for a cocktail party.